Readers can't say I'm not topical! As the England soccer team landed in Russia yesterday ahead of their World Cup quest, there was no doubt the second topic of conversation on the plane after 'football' was 'tea'. The English love their tea, so much so, that we often take our favourite brew with us, when we leave the country, so we ensure the perfect cuppa. Let's face it, you can't get good tea in the rest of Europe. It's usually Liptons - nothing against that, but it is pale, weak and insipid, and we English love a strong mug of Yorkshire or Typhoo Tea! 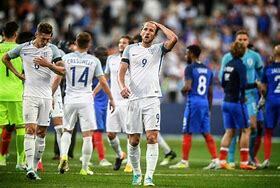 I don't know much about teas available outside the EU, but according to press reports, England's 23-man squad have turned to a new herbal tea from Paraguay to boost their brain power and perhaps even their performance, as they take on Tunisia, Panama and Belgium in the first round of their World Cup journey. Listening to some of our players giving press conferences last week, their brain power could do with an injection of intelligence, if only so they can recognise a 'wing-back' formation from a 'flat-back-four'. It seems that their tea called 'Mate' (aptly named, I'd say), originates in South America and was introduced to the team by five Tottenham Hotspur stars. Apparently, the Spurs midfielder, Eric Dier, has told his fellow internationals how the herbal infused drink is now hugely popular among soccer stars in countries like Brazil and Argentina. It has therefore been brought to the England camp by the Spurs players, Alli, Rose, Trippier, Kane and Dier - who were first given it by their Argentinian Spurs coach Mauricio Pochettino. Eric Dier even admits to be addicted to it! 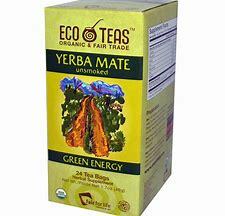 Mate, pronounced 'ma-teh' is made with ground leaves from a holly plant called yerba mate and can be bought in the UK for about £6 for a 500g bag. Let's just hope the England soccer squad haven't taken more than two week's supply of Mate, as it could be a short stay in Russia! MARY BERRY'S NEW CAKE METHOD?